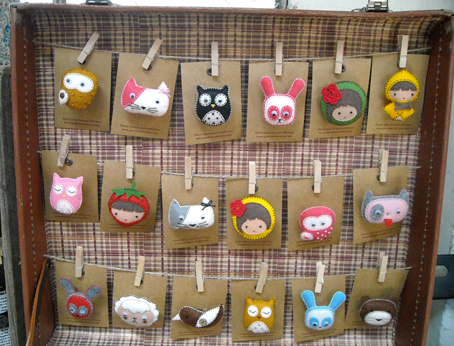 Another product I loved were these little, wool felt brooches by Parkdasom. The stitch work is so fine, and once again I was taken in by pure good craftsmanship. 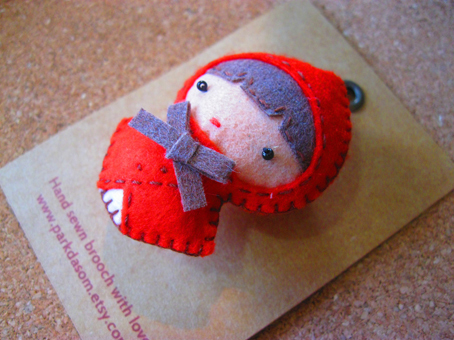 So much so I spent my only pennies on a Little Red Riding Hood pin for my winter coat. If you love these little creations too you can contact the beautiful maker or visit her etsy shop.